A few years ago on my ride to work, I stopped into a convenience store to pick up a soda, and seeing as it was a hot summer's day, I wanted something fruity and refreshing instead of a syrupy, caffeine-laden cola. I found Sidral Mundet-a Mexican apple soda. It was crisp, delicious and very refreshing. ...and it was good. Really good. 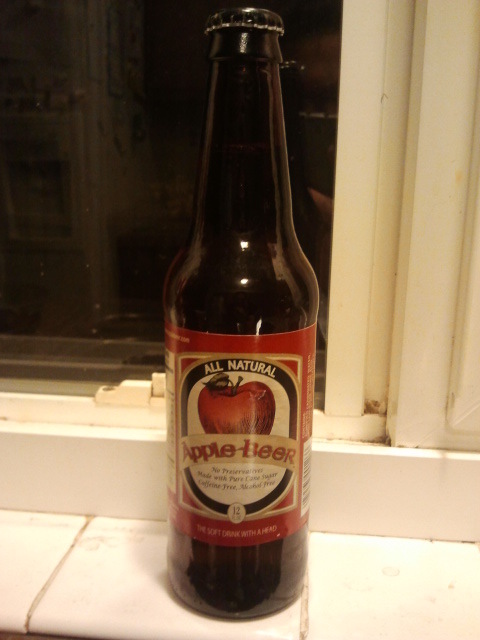 Like, if I took a bottle of apple cider and ran it through a sodastream I'd get Apple Beer. It's light, sweet, tart, crisp and very complex. 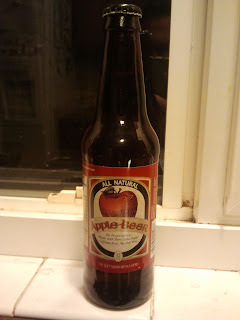 I imagine that it is brewed using a few different varieties of apples to capture the essence and range of complexity that only befits the source material. Another advantage over Manzanita Sol? Sugar instead of HFCS. I'm sold. Come on-look at that bottle. That looks downright delicious. If you were walking through the soda aisle and saw that label, you'd grab that bottle and never think twice about the fact that you're not an apple soda drinker. The initial uncapping brings about an aerosolized tart smell-like cutting into a perfectly ripe granny apple. Great packaging, great smell, fantastic taste. I would highly recommend to everyone-even if you've had a bad experience with apple soda in the past-trust me, you'll like this.